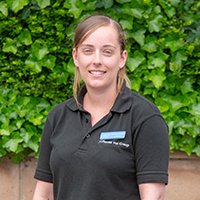 Bethany Cobain joined the practice in 2016 as one of our receptionists, she has since moved on to be our Admin Manager but you can still see her on the reception desk from occasion. She has worked within hospitality for 9 years and has a vast amount of customer service experience. She enjoys walking around the East Neuk, fitness classes and spending time with her family especially her nephew. Bethany works full time in our St Andrews branch but you may see her in Ladybank and Newport on the odd occasion.